News has reached us of another change to the printing of Machin definitives which will produce a further variant and cost for those collectors who want to have examples of everything. Once again this stems from an operational/production requirement, albeit one that ought to have been foreseen and been avoided. First some background. 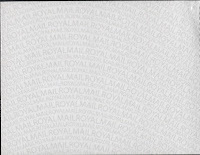 In the first write-up on Security Backing Paper I indicated that papermakers Tullis Russel were involved in producing the backing paper for British definitives. They have been doing something similar for other countries for some years. Whilst they are involved in producing the paper which will be used later this year by De La Rue for counter sheet definitives, we understand that the paper used by ISP (Walsall) is actually produced by Avery Dennison. 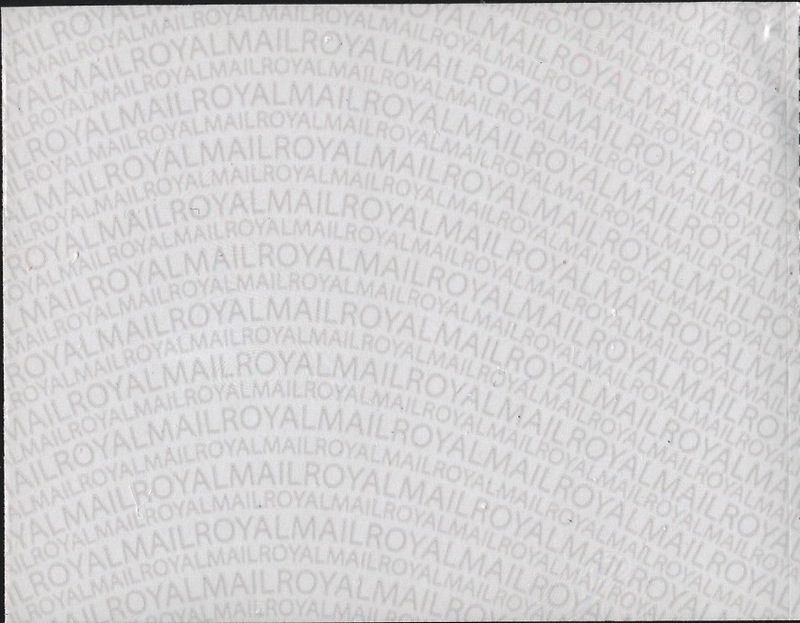 As they do not have the facility to print the 'ROYAL MAIL' wavy line text and this has been carried out by a third party subcontractor (in Europe) prior to the substrate sandwich being manufactured by Avery Dennison. So far so good, and the collector is unaffected. However, so that the paper may be used in any direction, especially useful if there are part-reels to be used, the security printing will be changed so that alternate lines (or maybe pairs of lines) of text will be inverted. Any of the current year's production of booklets and business sheets could be printed on both types of backing paper, thus providing a further set of variants. So look out for these on booklets, especially, as they are more widely sold and could easily reach retail outlets unnoticed.